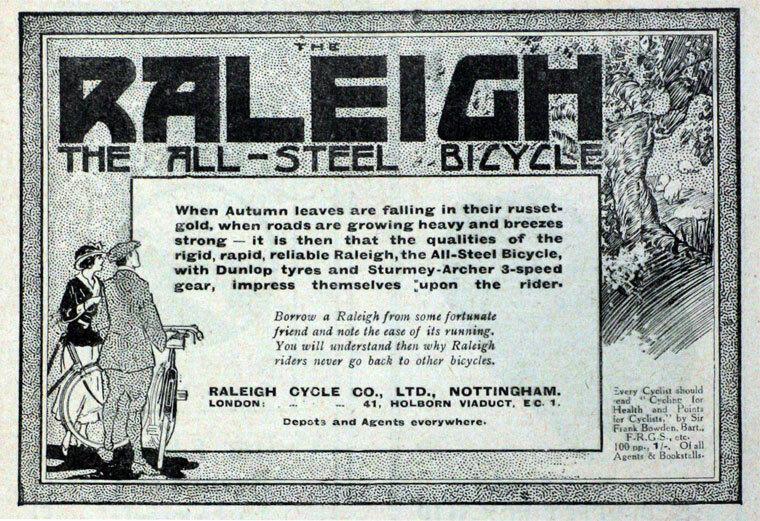 The Raleigh Cycle Company produced light delivery vans and bicycles at Nottingham from 1887. 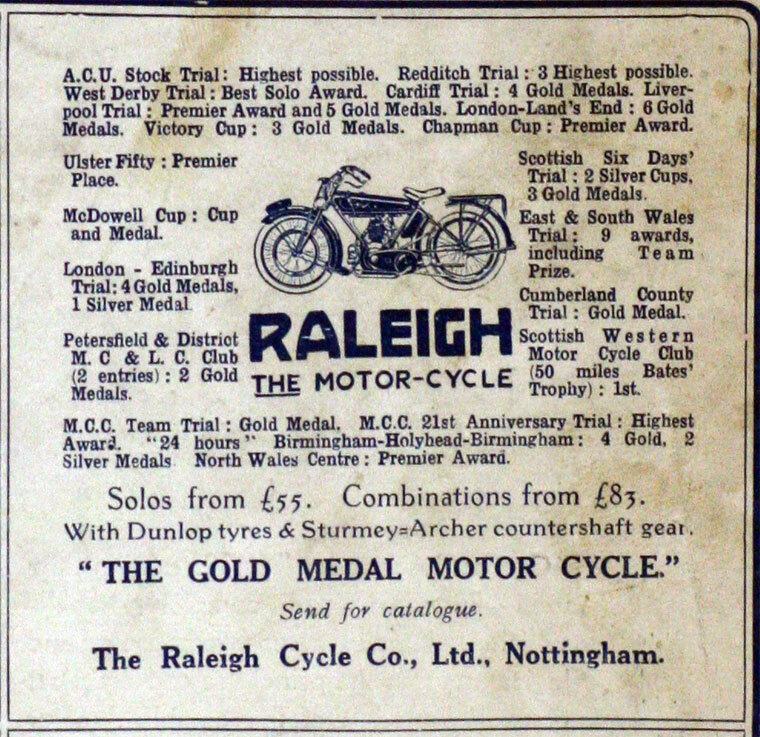 They also manufactured motorcycles from 1901 to 1906, 1920 to 1923 and 1958 to 1971 (see below). 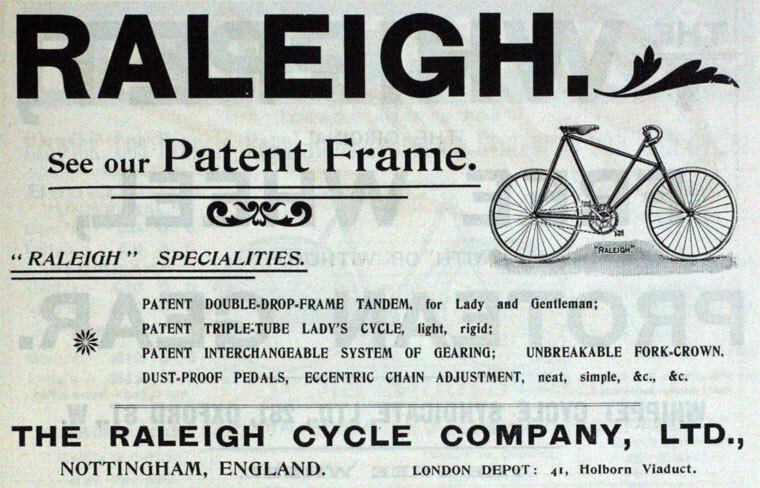 1887 Joined by William Ellis to form Woodhead, Angois and Ellis, producing roughly three high-wheel bicycles each week. 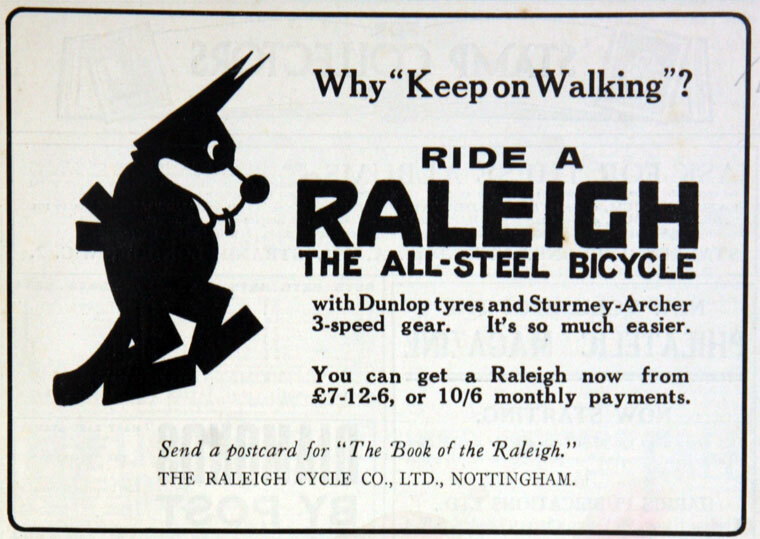 Autumn 1888 - Frank Bowden, a lawyer and cyclist, visited the makers of his tricycle, Woodhead, Angois and Ellis of Nottingham, and persuaded the company to accept him as financial backer. 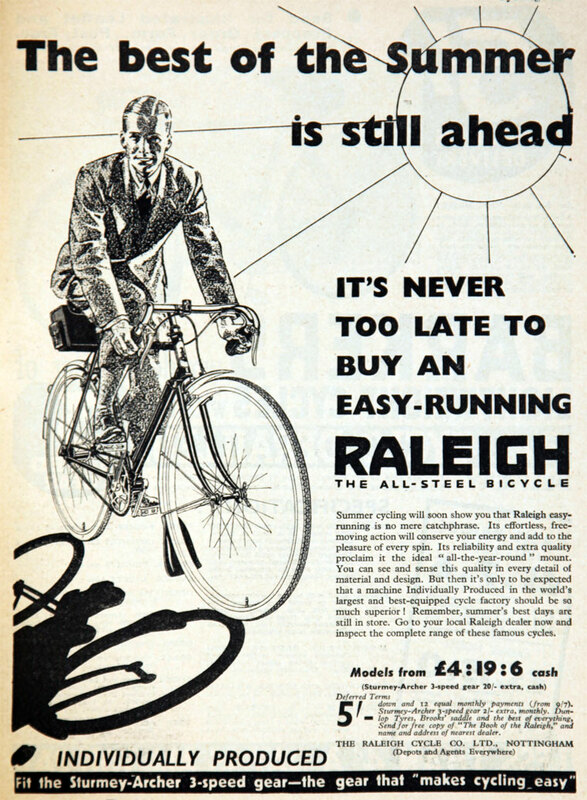 Later that year, Ellis left the partnership. 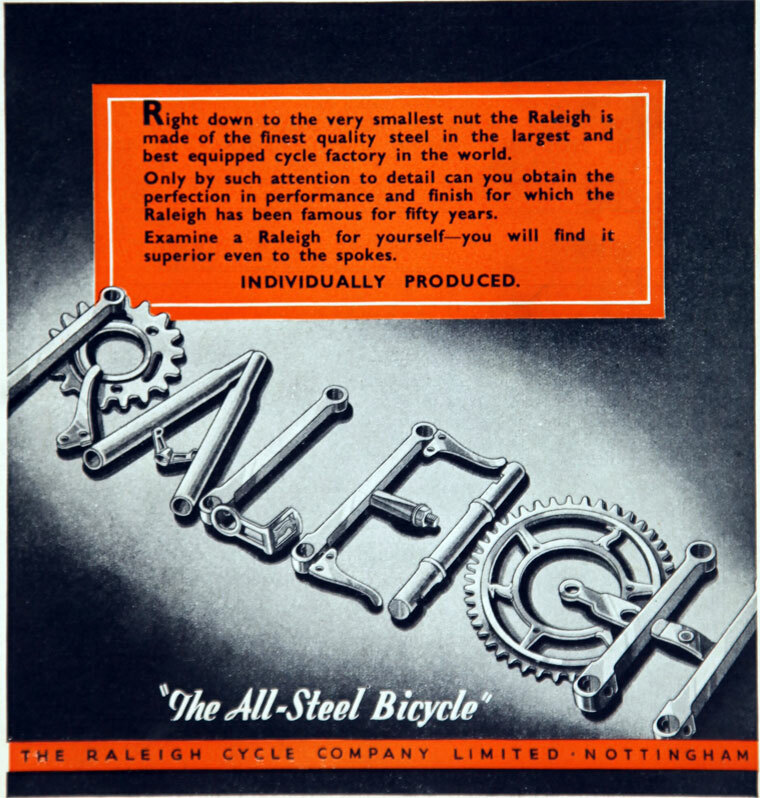 1889 January The Raleigh Cycle Co was incorporated as a limited company. 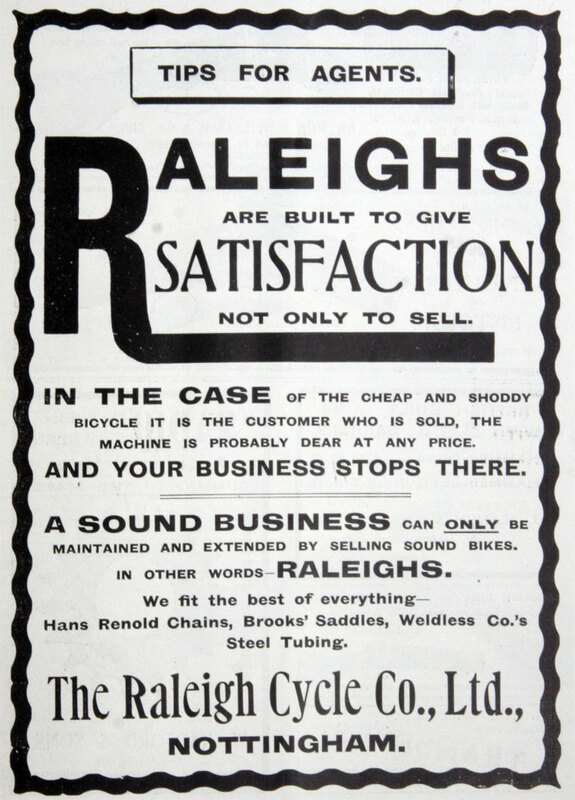 1891 The Raleigh Cycle Co was registered on 12 December. 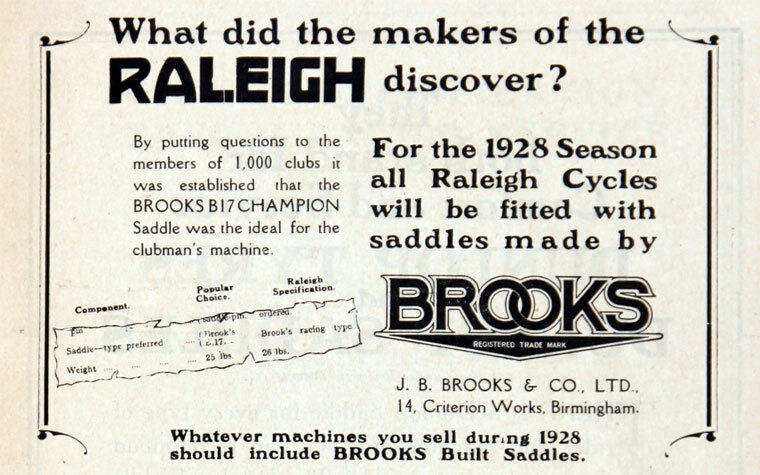 1891 Frank Bowden acquired a controlling interest. 1894 Richard Morris Woodhead and Paul Angois left the board. 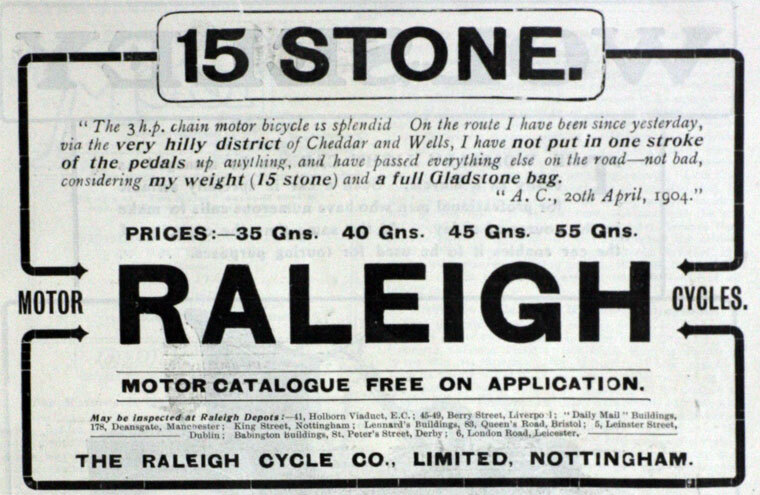 1896 A new factory was opened in Faraday Rd, Lenton. 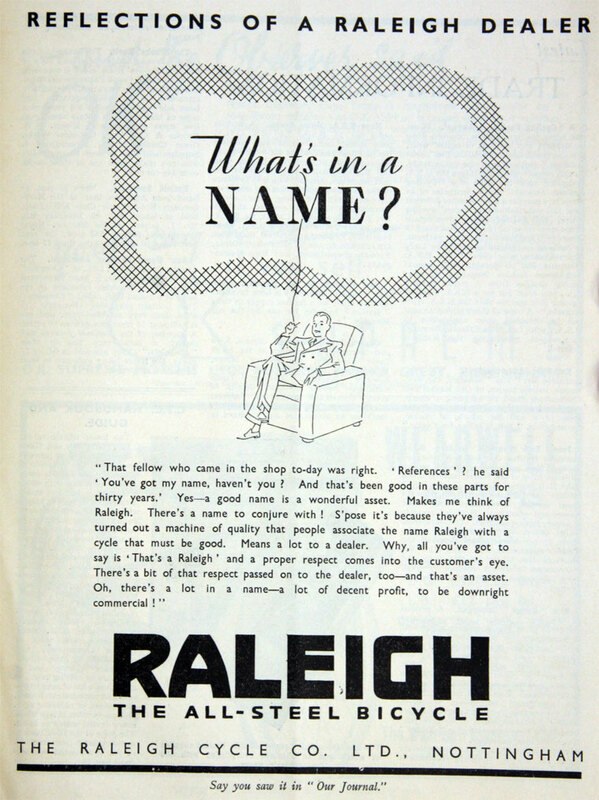 On 4 March, a public company of similar name was registered to take over the old company's properties; the company was one of those promoted by E. T. Hooley ; Frank Bowden retained a substantial interest. 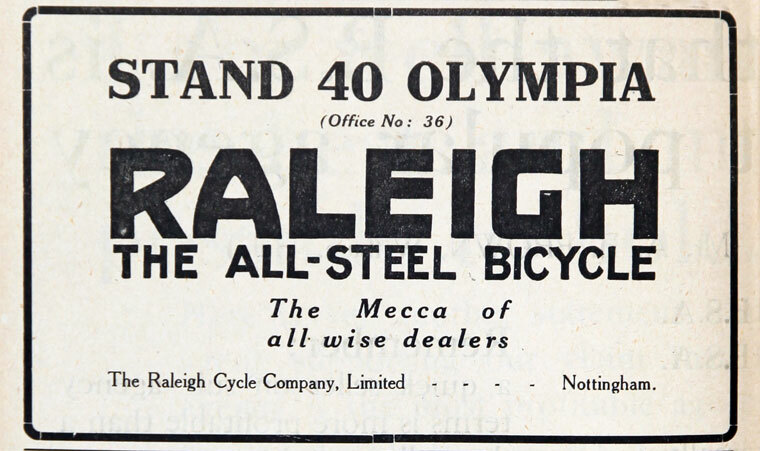 A new factory was opened on Faraday Road, Lenton. 1908 After another financial crisis, Bowden was prepared to secure the debts on his personal fortune only if he had complete ownership. The company went private. 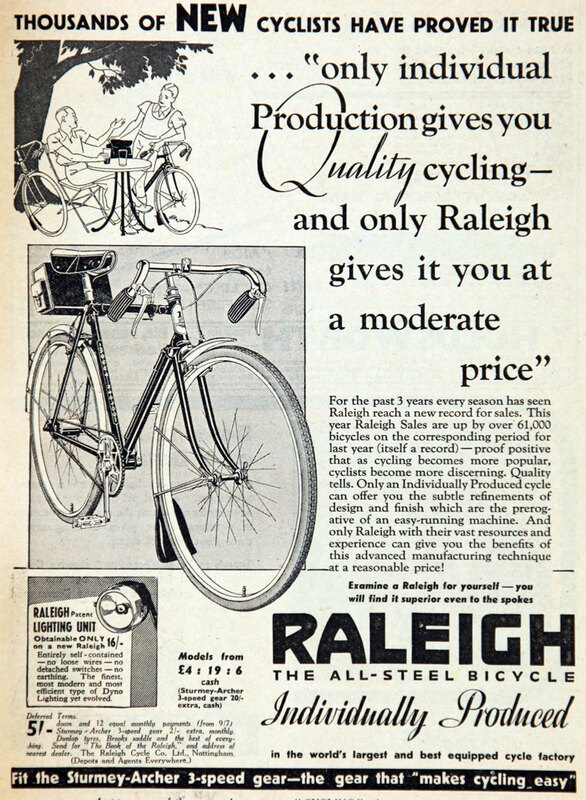 1914 Expected to make 65,000 machines that year; also made the Sturmey-Archer gears for Sturmey-Archer (Gears). 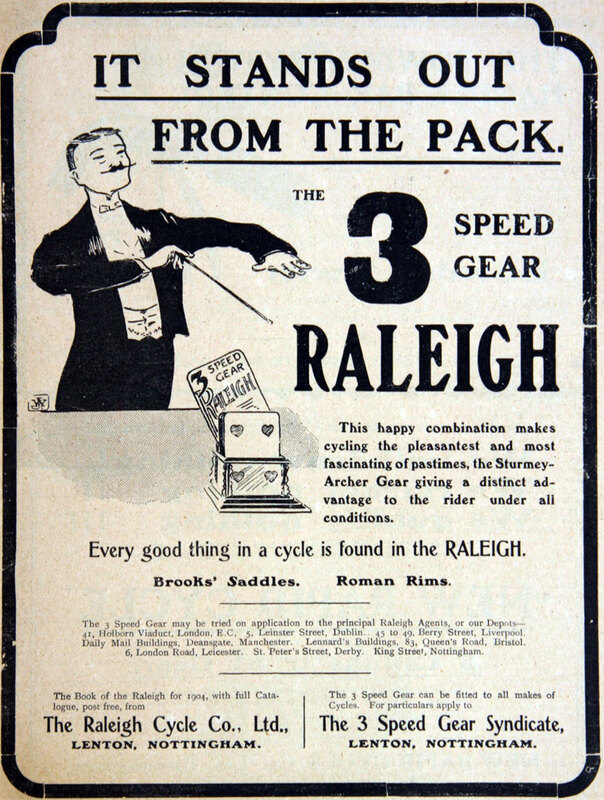 1914 Raleigh bought the Armstrong Triplex Three-Speed Gear Co for £6000. 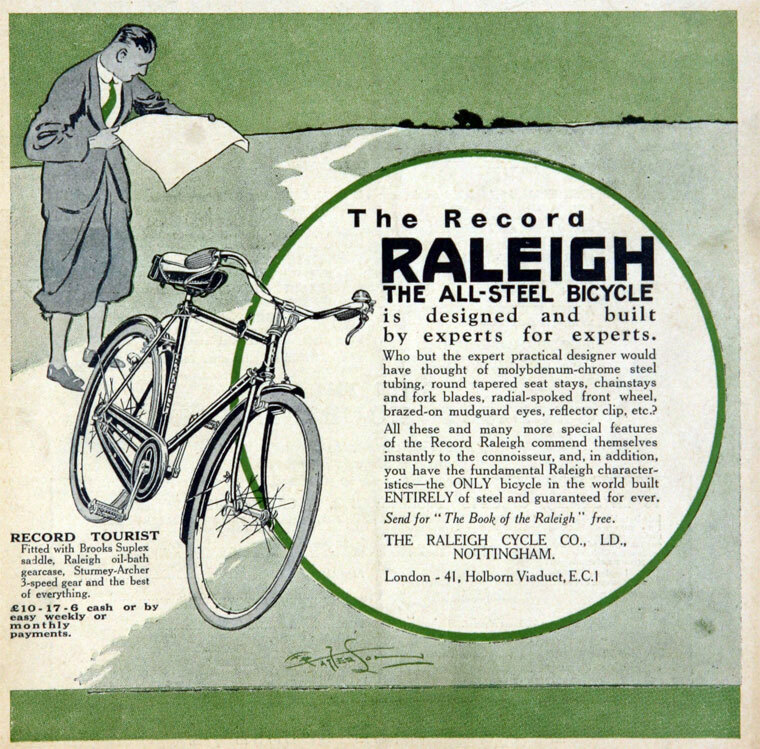 1921 Sir Frank Bowden died; Harold Bowden took over. 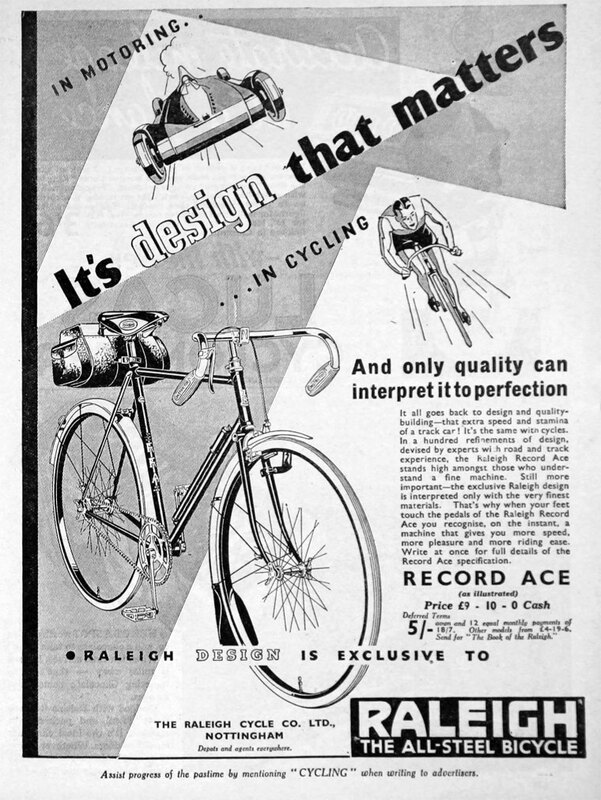 Motorcycle production resumed. 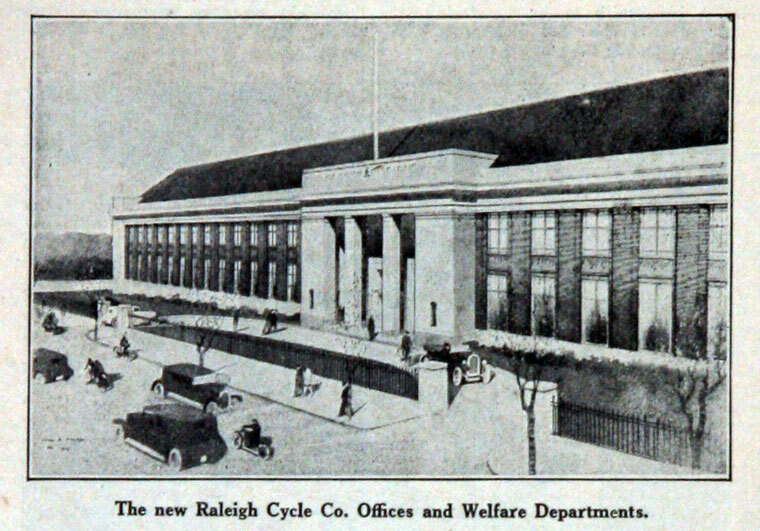 1922 The firm opened a large new extension of the works bringing up the annual capacity for 100,000 cycles, 10,000 motor cars and around 250,000 three-speed gears. 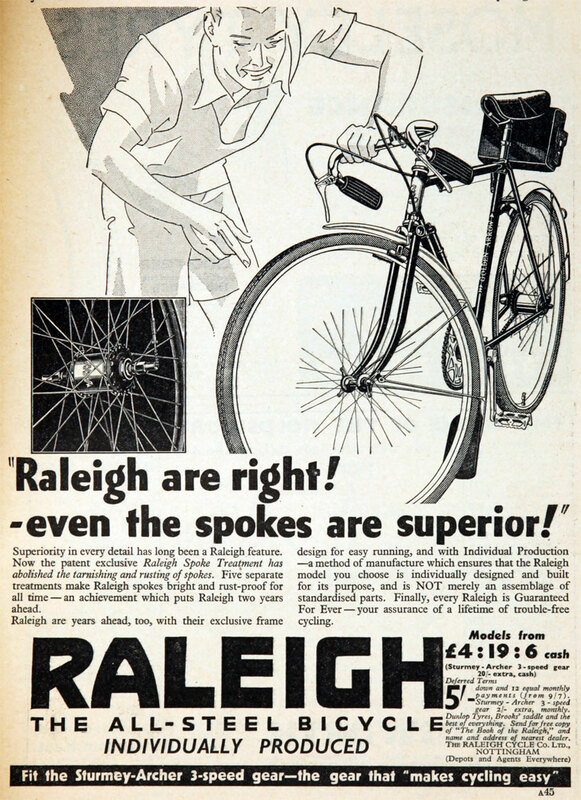 The firm had found that the Germans, because of the low rate of exchange, could place bicycles on the British market at a price that was less than the cost of production in this country. The company's work people, in view of this fact, had consented to a reduction in wages, and the company had, in keeping with that sacrifice, agreed to make a 50 per cent reduction in its profits. 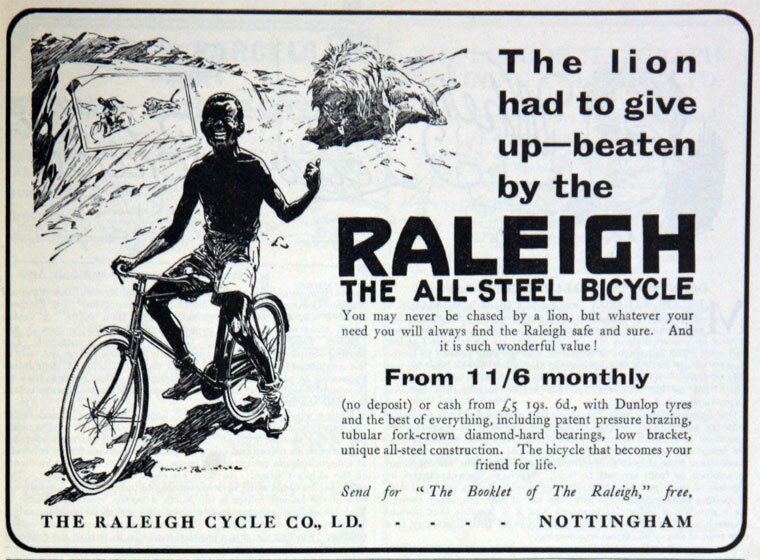 With the assistance thus afforded, he hoped they would soon be able to work up towards their capacity, provided something was done to stabilise the foreign rates of exchange. 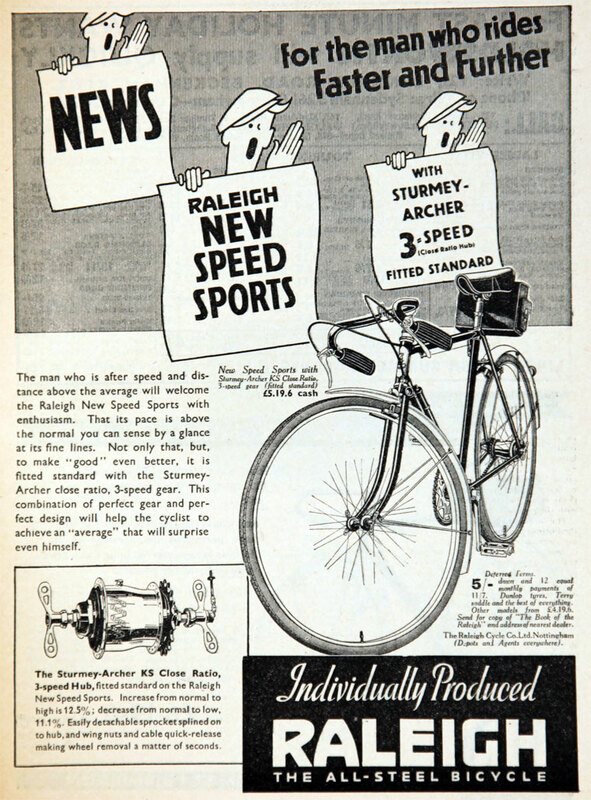 1929 Selling Sturmey-Archer engines to other makers and this practice lasted until 1933. 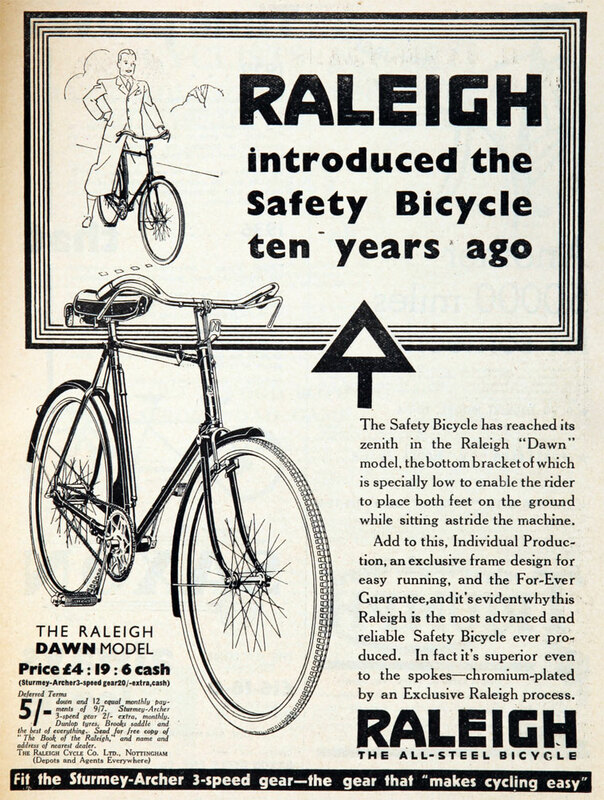 1931 Introduction of the Safety Seven car. 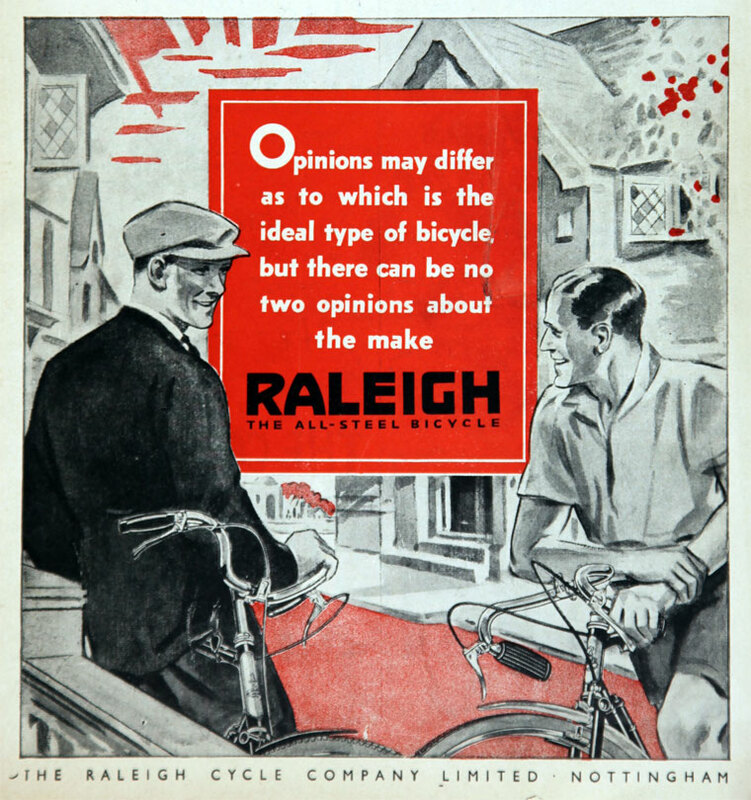 1934 See Raleigh Cycle Co: 1934 Review. 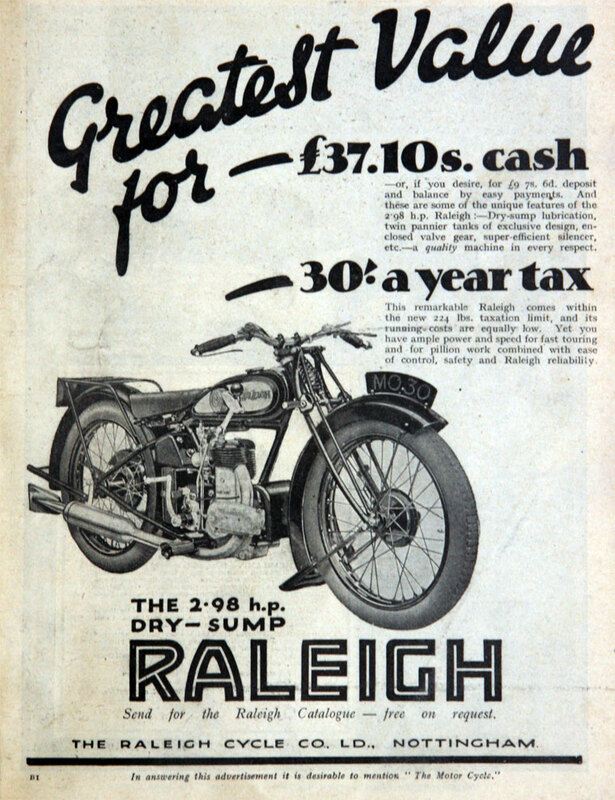 1936 Production of motorcars and motorcycles ended. 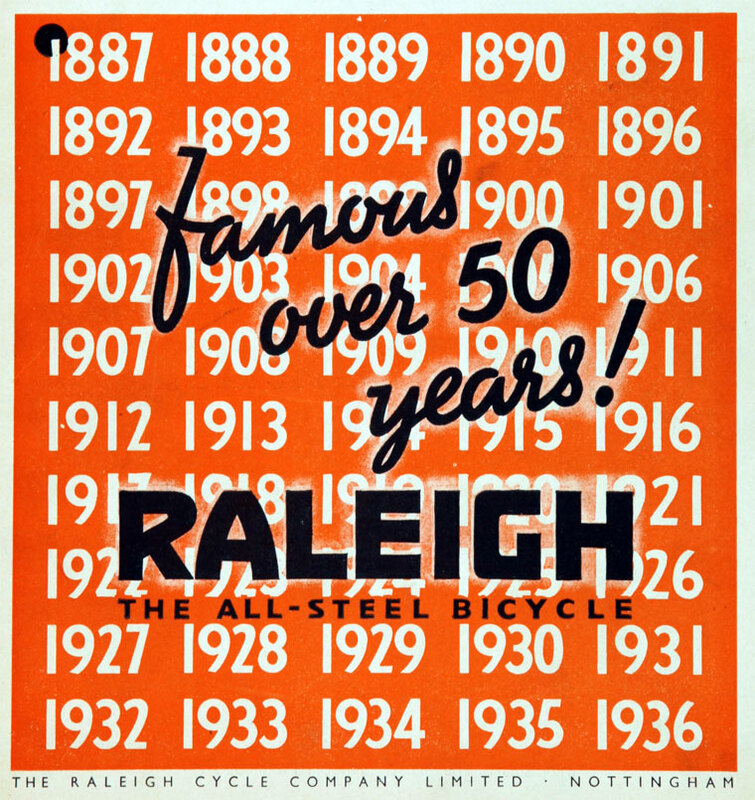 1954 Acquired Associated Cycle Manufacturers of Coventry and the share capital of Triumph Cycle Co Ltd (which was its predecessor company). 1955 Sir Harold Bowden retired. 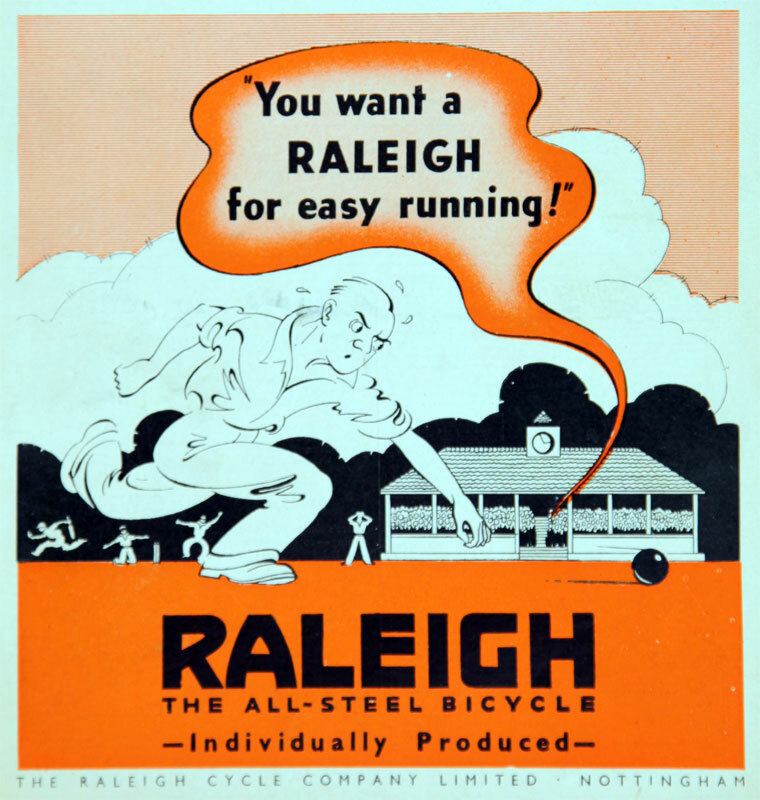 1960 Tube Investments acquired Raleigh Industries. 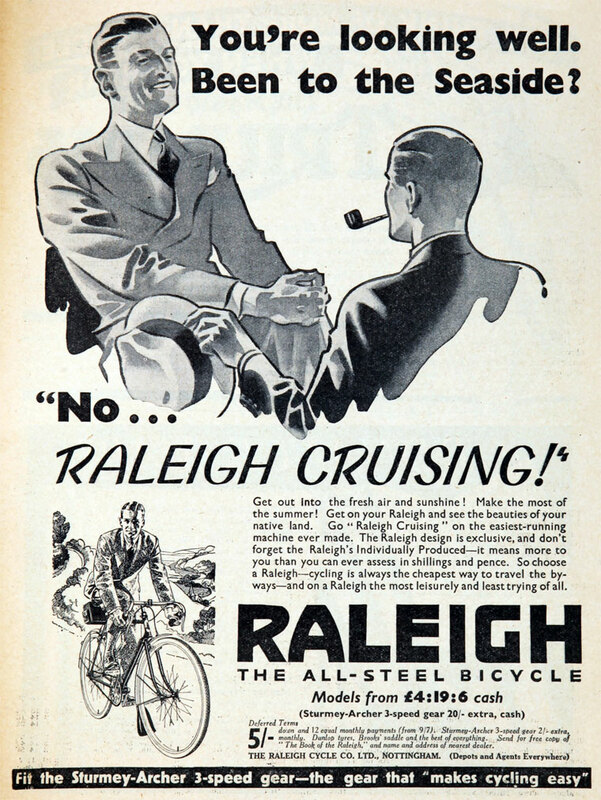 The board of Raleigh, enlarged with a director of TI and the MD of British Cycle Corporation, would control all cycle, component and motorized activities of the TI group. 2500 models being made by the group for the home market. 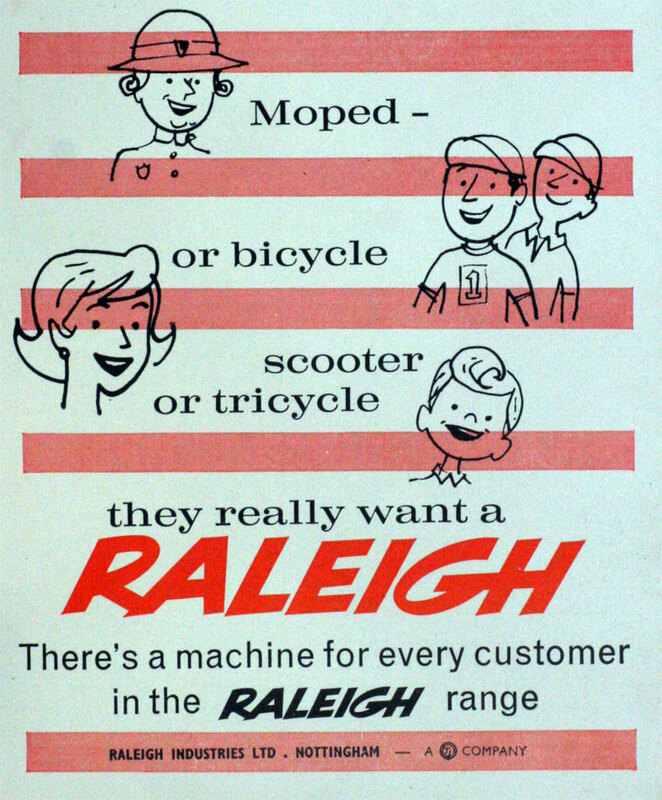 Early 1960s: at some point, TI/Raleigh turned down the opportunity of making the Moulton folding cycle . 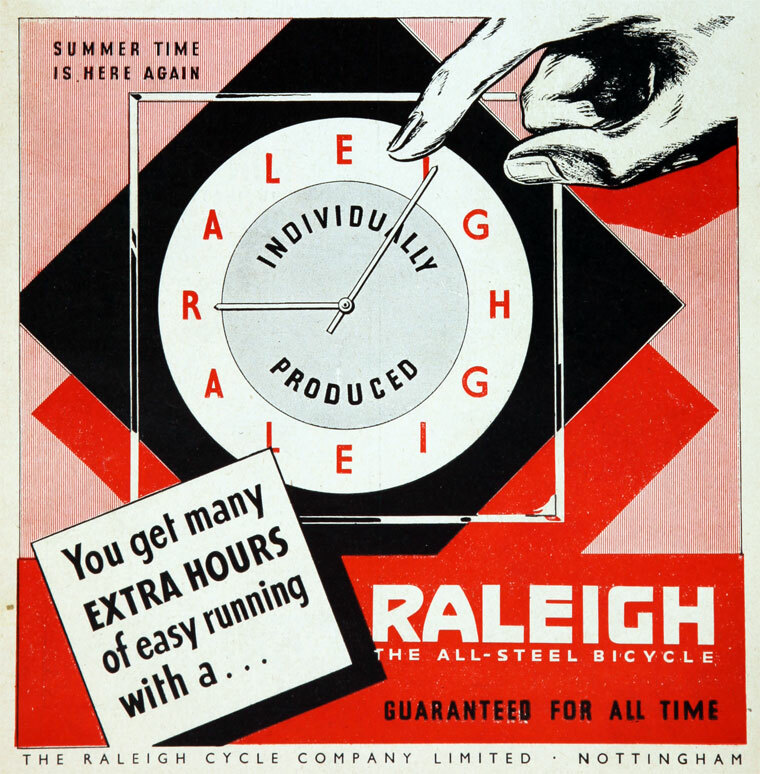 1963 Total number of employees now 12,000, including those producing toys and mopeds . 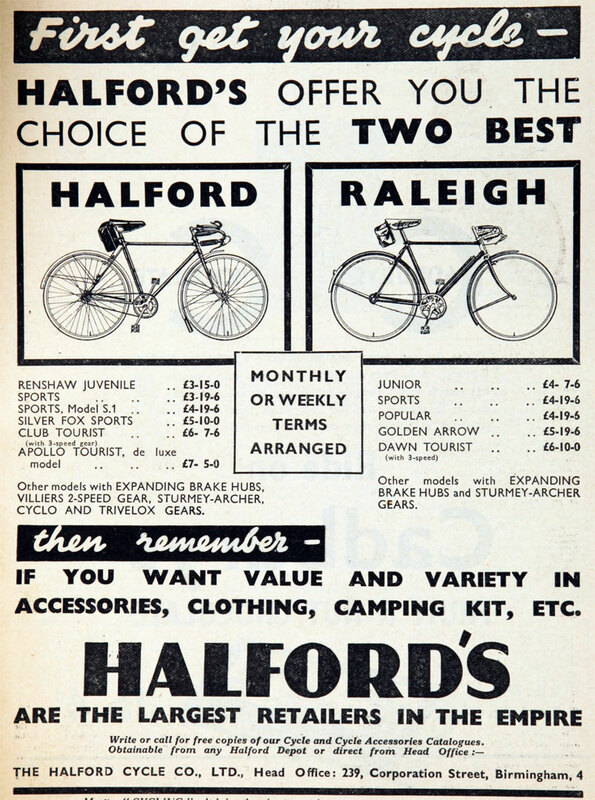 1967 Acquired Moulton Bicycles Ltd and Cox of Watford. 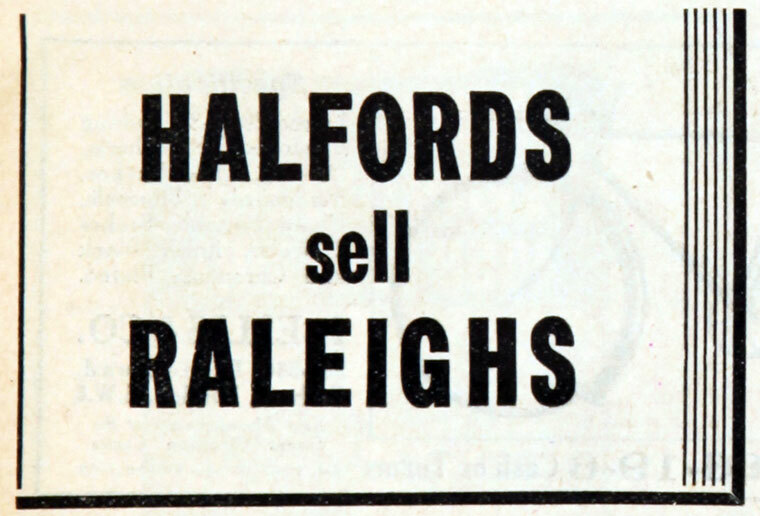 1970 End of production of motorised products. 1974 Formation of Ilkeston Specialist Bicycle Unit. 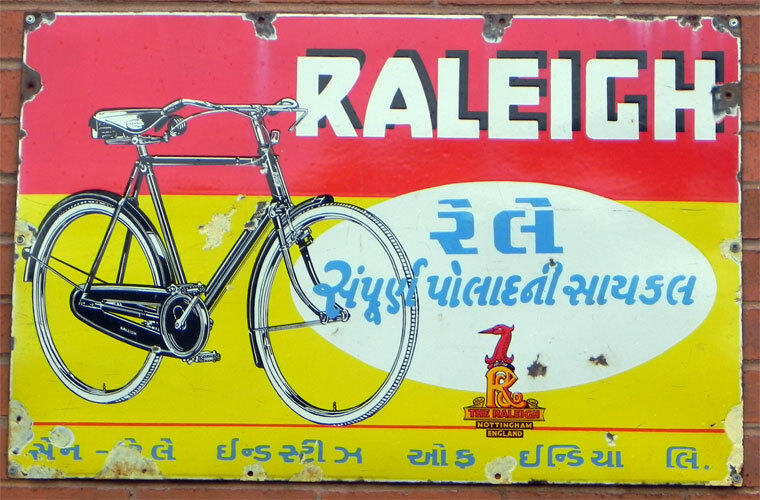 2001 Management acquired Derby Cycle Corporation and renamed it Raleigh Cycle Ltd.
2003 Triumph Road factory demolished. Production moved overseas. Head Office relocates to Eastwood. 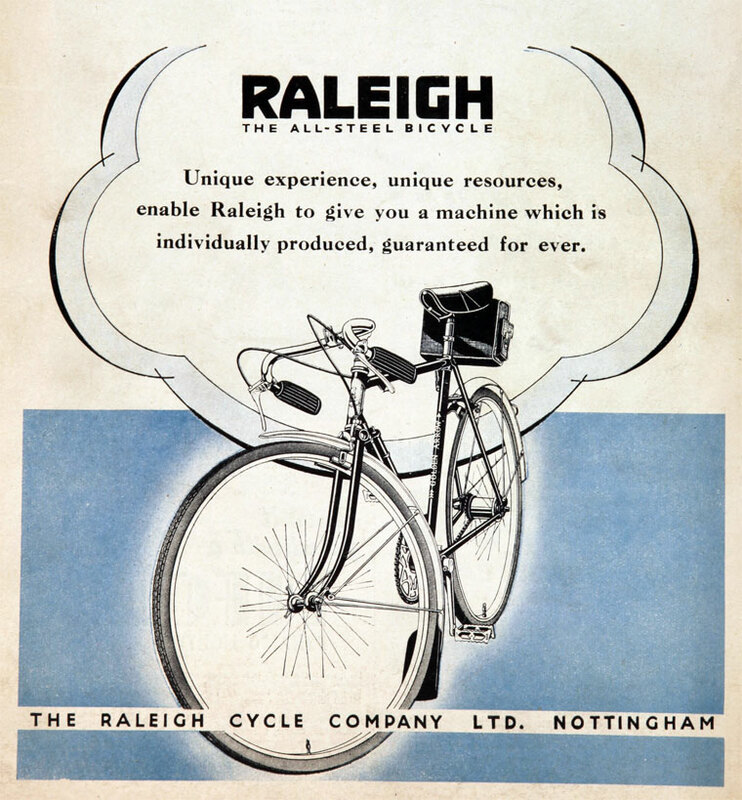 A range of bicycles from 1901 are exhibited at Nottingham Industrial Museum. Motorcycle. 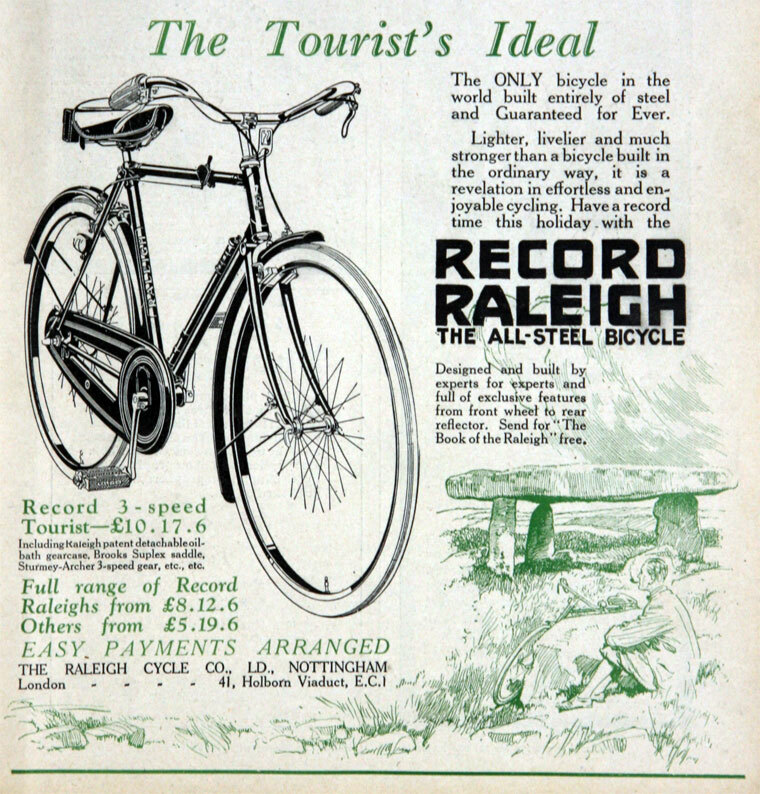 Exhibit at Nottingham Industrial Museum. This page was last edited on 14 January 2019, at 13:02.